Did you recently buy a new PC with Windows 7 on it? Are you interested in Windows 8? Are you worried you won't be able to upgrade your operating system? If you answered yes to all three, we have good news for you. Microsoft says Windows 8's system requirements will be the same, or perhaps even lower, than Windows 7's. Tami Reller, corporate vice president of Microsoft's Windows division, revealed the tidbit to attendees at the company's Worldwide Partner Conference 2011, which took place yesterday in Los Angeles, California. She said any PC capable of running Windows 7 today would be capable of running Windows 8 when it is released. "The breadth of hardware choice is unique to Windows and is central to how we see Windows evolving. In both of our Windows 8 previews, we talked about continuing on with the important trend that we started with Windows 7, keeping system requirements either flat or reducing them over time," Reller said. "Windows 8 will be able to run on a wide range of machines because it will have the same requirements or lower. And, we've also built intelligence into Windows 8 so that it can adapt to the user experience based on the hardware of the user. 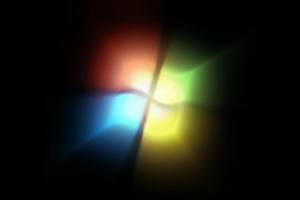 So, whether you're upgrading an existing PC, or buying a new one, Windows will adapt to make the most of that hardware."